Bark of the Town is the Best Pet Groomer in North Andover, MA, and throughout the Northshore and the Merrimack Valley. Our experienced and knowledgeable groomers understand that your animal is not just a pet, but a member of your family. You can be confident that your pet is in the most capable and caring hands around when you leave them with us for a bath, trim, and nail clipping. Our grooming salon is a friendly, open environment, where your pet can socialize with their four-legged friends while they wait for their appointment. The open play area alleviates your pet’s anxiety about coming to the groomer and puts them at ease before we place them in the tub. Grooming a dog takes patience and a whole lot of love. 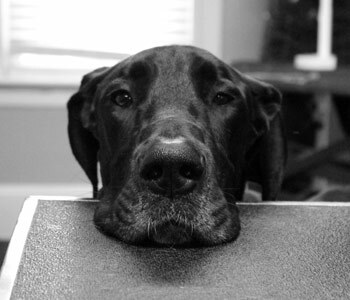 At Bark of the Town, our experienced groomers understand the temperament and personality of each pet we groom. We know no two pets are alike, which is why we keep a file on each pet ensuring that your pet gets the same care each time they visit us. Nothing smells better than a clean dog. At Bark of the Town, we use only the best all-natural products on your pet. 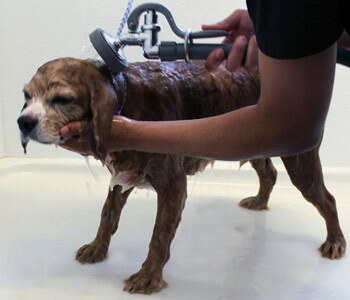 We specialize in pets with skin allergies and carry special shampoos to treat irritated skin. 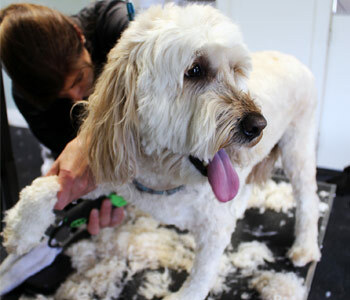 Our expert groomers will make sure your pet is well cared for, clean and mat-free when they leave. Sometimes a pet needs more than just a buff and shine, which is why, Bark of the Town offers services other than grooming. We recommend you have your pet’s teeth cleaned every six months, their nails trimmed monthly, and dematting every time they are bathed. If needed, we can even help wash away the odor left by a skunk.